Looking for information on protein shakes? Rule One: If it’s a “protein shake” that comes in a can, stay away. Rule Two: Eat green to stay lean. Rule Three: Recognize that type of protein matter. First, imagine a big red ‘X’ whenever you see any canned drink that promises protein. Canned protein drinks are usually just full of sugar and complex carbohydrates. Yep, they do taste good. But don’t let the sweet taste cloud your judgment. Are you always, or almost always, hungry? Are your favorite clothes starting to get tight? Do we have the solution for you! PhysIQ Protein Shakes help to curb your appetite so you feel full longer. They contain fast- and slow-release proteins. And LifeVantage has managed to make it taste fantastic without loading it with sugar, carbs, and calories. The PhysIQ Protein Shake does so much good for your body, plus, it helps build muscle, which burns fat. Which brings me to my next point, eat green to stay lean. Plant-based protein foods include edamame, lentils, lima beans, peanut butter, spirulina, and almonds. (I know they aren’t all “green” in actually color, but they are all plant-based and have a small carbon footprint for those people who are cutting down or avoiding meat.) The more lean muscle mass, the quicker you’ll burn fat while your body is at rest. For weight loss success: reduce calories, increase your exercise, and build more lean muscle mass with PhysIQ Protein Shakes. Finally, type, type, type! LifeVantage did a lot of research on which type of proteins to include in PhysIQ and chose carefully. They opted for Whey and Micellar Casein proteins because they work in tandem. Whey protein works in the short term to greatly increase your natural ability to build muscle. Micellar Casein protein helps ensure long-term results. This dynamic combo also contains amino acids which also help build lean muscle and aid in post-workout recovery. You may benefit from increasing the overall protein in your diet. Discover all the wonderful non-meat protein sources the planet has to offer. There’s your typical ones, like eggs and broccoli. Theres also the lesser known ones; like amaranth, greek yogurt, and quinoa. The PhysIQ Protein Shake will help you no matter what you’re trying to do; lose weight, or bulk up. And it is a low-fat, low sugar workout recovery drink. LifeVantage is a Utah, USA-based company that specializes in pushing the limits of anti-aging technology. The scientific team at LifeVantage has pioneered an exciting new science called Nutrigenomics. I am Adam Green, and I am a LifeVantage Independent Distributor in Sandy. I sell industry-leading nutritionals and fitness essentials. 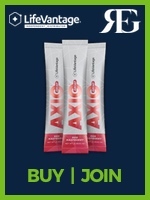 My favorite products include LifeVantage AXIO Decaf Smart Energy. You can buy LifeVantage from me online and in the Farmington area by calling me at 801.809.7766. If you are a highly-motivated leader and want to join the LifeVantage opportunity, join the Ry Fry Group by clicking Join above, or give me a call for details. The information on this web page is presented for informational purposes. It is not to be a an alternative to professional medical guidance or care. You should not use this information to diagnose or treat any health issues or illnesses without speaking with your family doctor.